The thrilling, main event bout for UFC 231 was stopped by the cageside physician on Saturday night, and Dana White was in full agreement with the doctor’s decision. Following the fourth round of the Max Holloway – Brian Ortega bout, the latter was a bloody mess and his left eye was almost completely shut. 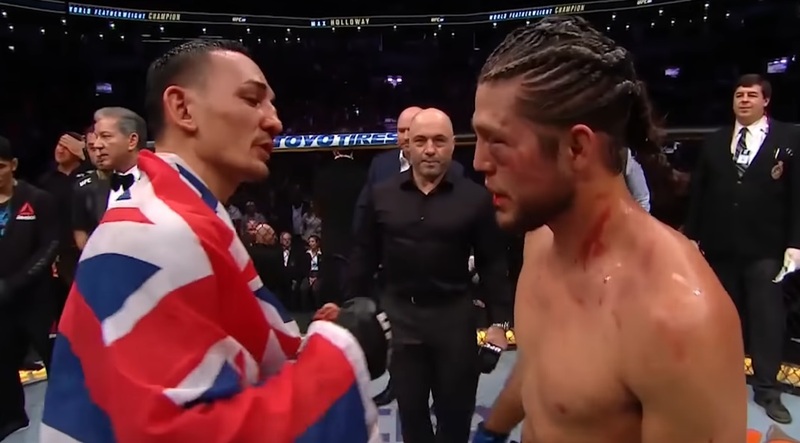 The attending doctor decided that the challenger could not come out for the fifth round, and in doing so, handed Holloway his latest title defense as featherweight champ. “For all of us that have been in the fight game a long time, that’s what you call too tough for your own good,” White said while discussing Ortega. “And I believe he could have done the fifth round. I believe he would have done the fifth round, but it should have never happened. Prior to facing Holloway, Ortega had gone 14-0, with 1 no-contest. UFC 231 took place in Toronto, Ontario.